You find and update all of your apps using the iOS App Store, and if you have updates scheduled automatically, it could be working hard on a daily basis. With all of that work, it can lose its footing from time to time and cause things not to work as they should. Sometimes newly released apps won't show up right away. 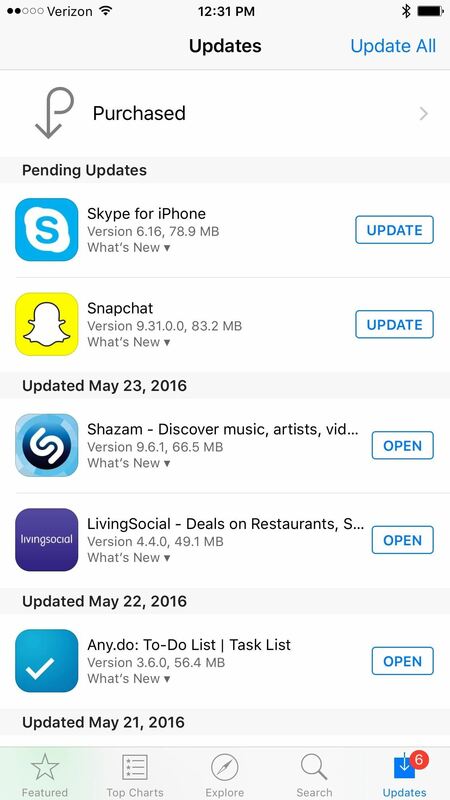 Occasionally the update buttons for apps will be grayed out. 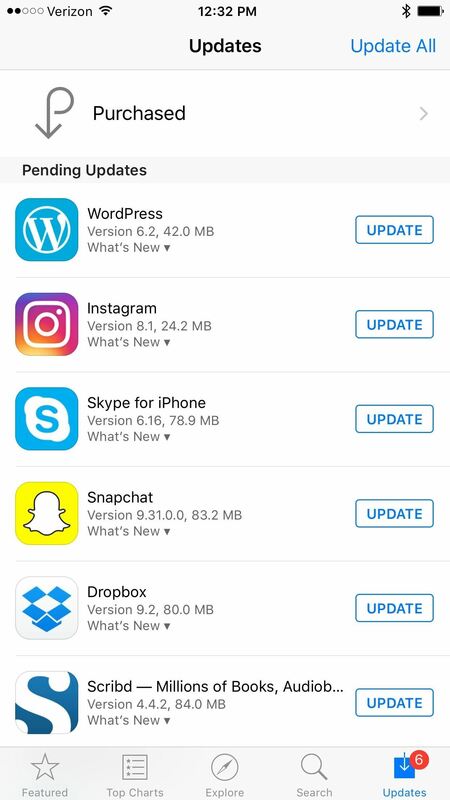 Some already updated apps can say they still need updates. The search bar can disappear. Pages can hang when loading. It can just go really sloooowww. Those are just some of the common issues that can happen in a buggy App Store app, and it mostly happens because the app's cache has become corrupted. Sometimes force-closing the app can help, other times not. 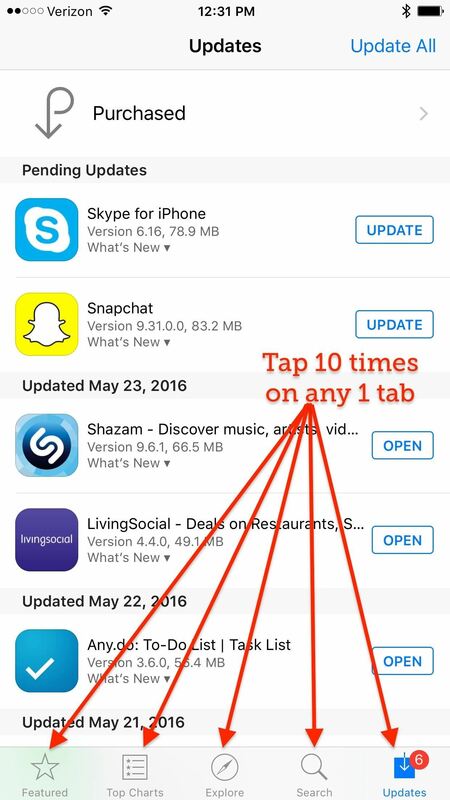 Luckily, there's a secret way to clear the cache and reload the content—without even exiting the App Store app. Note: this trick will only work if you're using iOS 8 and above on an iPad, iPhone, or iPod touch. You can see in the example images below that it says there's 6 updates available, but only shows 2 pending. To fix this without leaving the app, you simply tap 10 times on any one tab at the bottom: Featured, Top Charts, Explore, Search, or Updates. You can go slow or fast—it doesn't matter. This trick will also work in the iTunes Store and in iBooks (unless you have disabled the Store options in iBooks, of course). 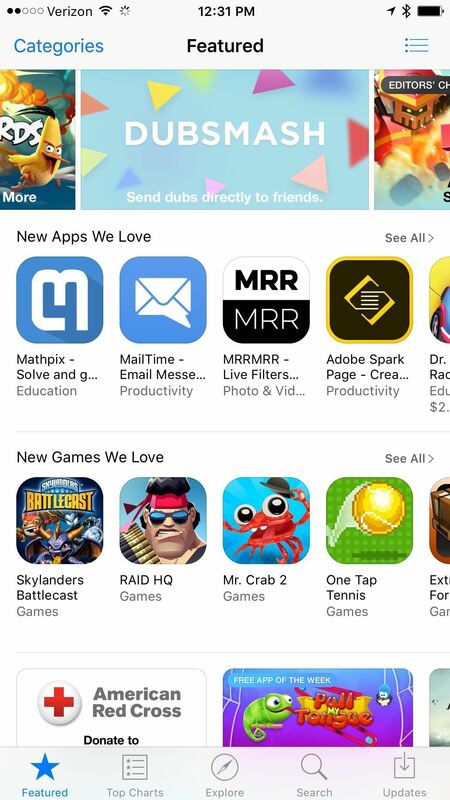 Naturally, you don't need to do this unless the iOS App Store, iTunes Store, or iBooks Store is acting weird. But it's a lot faster than force-closing the app, and actually does a better job at fixing glitches in my experience. I have an iphone 5s that shows i have 6 un-read e-mails , although non of my e-mail folders have un read mail in. The phone also shows i have a missed call and voicemail. But i have emptied my missed calls and rung voicemail and i have neither. How can i clear these symbols from my phone ???. Hi Mick, this is definitely a "weird" issue that I've seen happen at times on various iOS devices. Sometimes, a hard reset will fix this. Simply press and hold the home and power button together until the phone powers off then powers back on to the apple logo. You can let go at this point, and your iPhone should continue the boot up process. Also, If your iPhone is not updated, try updating to the latest version of iOS via Software Update (Settings -> General), which should be 9.3.3 currently. This will sometimes fix any strange bugs you also might be experiencing on your device. If that doesn't work, you can try removing your Mail account from the Settings then adding it back. It's definitely an annoying process, but one that works at times. For the phone issues, removing the SIM card then putting it back in can work sometimes. You can use a small paper clip, straighten it out, then push it inside the sim tray opening until it pops out. You should get a message that no SIM is detected, then push the tray back in so it's flush with the phone's edges.